If you’re a translator then you have surely been confronted with the issue of political correctness in your translations. Gender neutrality, addressing disadvantaged categories appropriately, choosing formal/informal tone for your texts, all of these can pose problems while translating. And I bet many of you translators out there have cursed at least once these awkward rules of political correctness. For professionals translating into English, things are fairly easy. English is a straightforward, flexible language which easily allows the drafting of gender-neutral sentences. But for linguists translating into, say, Romanian, French, Italian (and many others), things might get trickier. First of all because these languages are not gender neutral and make a distinction between the formal and informal registers. Secondly, because they are inflectional and in the case of Romanian, inflexions are irregular. Over the years I have translated many texts aimed for both males and females. Take questionnaires, for instance. Surveys are more often than not targeted at both men and women, which means that you have to somehow squeeze in both the masculine and feminine forms of nouns and adjectives into your questions. Sometimes this is easy, you only have to add an extra vowel between brackets, like in this example: Sunteți fericit(ă) cu situația dvs. actuală? (Are you happy with your current condition?). But what if the feminine form is substantially different from the masculine like in the case of adjectives such as ‘curios’ (m), ‘curioasă’ (f). Well, you might say, in this case you would have to use both forms like here: Sunteți curios/curioasă să aflați…? (Are you curious to find out…?). Right, no big deal. Now consider the following sentence: Was the colleague you replaced happy with your activity while s/he was away? In order to maintain the standards of political correctness, the Romanian should read: A fost colegul/colega pe care l-ați înlocuit/ați înlocuit-o mulțumit(ă) de activitatea dvs. cât timp a fost absent(ă)? (Or should the sentence actually be: A fost colega/colegul pe care ați înlocuit-o/l-ați înlocuit mulțumit(ă) de activitatea dvs. cât timp a fost absent(ă)?…) Something tells me the reader won’t be too happy with the coherence of this sentence… From a grammatical point of view, the solution to this problem is very simple, you just need to use the generic form of the noun, i.e. the masculine. It’s just that in today’s world, clients are very sensitive (and sometimes rightly so!) when it comes to gender neutrality. Another solution to this problem? Well, there is one, but I don’t think the IT or printing department would agree with it. In case of questionnaires, you can always find out the gender of the responder and you can use two versions of the same survey, one for male respondents and another one for female responders. Another issue in case of Romanian is the generic form of nouns designating professions, professional titles and circumstantial status. Some nouns, such as ‘președinte’ (president), ‘ministru’ (minister), ‘senator’ always take the masculine form, so the translation of the expression ‘Madam President’, for instance, is ‘Doamna Președinte’. Other nouns have a rather ambiguous status, meaning that while the masculine is generally accepted as the generic form, the use of the feminine form has become quite common in everyday language: ‘profesor/profesoară’ (teacher), ‘avocat/avocată’ (lawyer), ‘director/directoare’ (manager), ‘pacient/pacientă’ (patient). So, dear fellow translators, what peculiarities relating to political correctness are there in your languages? What are your solutions to these problems? Leave a comment :). Language evolution is sometimes ironic and leads to surprising outcomes. It is the case of the Latin verb ‘plicare’ which took on opposite meanings in Romanian (‘a pleca’ – to leave) and Spanish (‘llegar’ – to arrive). The explanation is quite simple and it is proof that the geographical area a people inhabits has a marked influence upon its culture and language. As linguist Andreas Blank explains in an article about language change, the concept of ‘plicare’ (to fold) was associated in Romanian culture with the activity of folding tents before leaving. As mentioned in a previous post, Romanian culture is traditionally linked to nature and activities pertaining to the natural habitat. One such activity was shepherding, which entailed frequent relocating and temporary dwellings (tents). Thus, the co-occurrence of folding tents with the activity of leaving has led to a shift in the meaning of the verb ‘plicare/pleca’. In Spain, a country with a very strong naval tradition, the activity of folding was associated with sailing. More precisely, whenever a ship arrived at its destination, its sails were folded by the crew. Following the same pattern as in Romanian, Spanish has adopted the verb ‘llegar’ with the meaning ‘arrival’. Funny how language evolves, isn’t it? Here’s a fun fact about Romanian language. There are three semantically distinct equivalents for the English ”tree” in Romanian. Depending on the context, this word can be equated with ”copac”, ”pom” or ”arbore”. So what do they each mean? ”Copac” is a tree which doesn’t bear edible fruit. Basically, all trees you would find in a forest are designated by ”copac” (oak, beech, fir, birch etc.). The word ”pom” designates a tree which bears edible fruit. This means that all orchard trees are ”pomi”. The latter word, ”arbore”, is the neutral denominator for the concept ”tree”. It can designate both a fruit-bearing tree and a non-fruit-bearing tree. This distinction shows the degree at which language and culture are interconnected. Traditionally, Romanian culture has been closely linked to nature and everything pertaining to it. Romanians have thus developed a very deep relationship with the environment which is clearly reflected in language. This is only one of the many examples of words, idioms and metaphors depicting this very old symbiosis. I decided to begin writing about contemporary Romanian culture in order to provide some (hopefully) useful insights to people interested in learning about the way Romanians act and think. Since it’s summer, I will begin this series with a post about spare time activities in my country. Although I used as a source a press release from the Romanian Institute of Statistics, I am not going to bore you with figures, but give you a short, personalized account instead. According to the aforementioned source, Romanians seem to behave in a traditional manner when it comes to spare time. A first point supporting this statement is the fact that men enjoy more leisure time – despite spending more hours at the office – than women, who are usually in charge of domestic activities (such as cooking, taking care of children and of their household etc.). No surprises here, Romania is a male-dominant country (just slightly, though ). The types of activities preferred are traditional as well, with TV watching being the favorite spare time of middle-aged Romanians and computer gaming and online social networking being the dominant hobby for teenagers. It is noteworthy, however, that the younger generations are slowly giving up TV and embracing online film platforms (a couple of services are available on the Romanian market including seenow and voyo.ro). Regarding physical activity, there is an ever-growing array of activities that people can join. Women can sign up for all sorts of exercises, from pilates to tai bo, kangoo jumps, cardio and many more, while men can opt for fitness clubs, body building and spinning sessions. There are more and more synthetic pitches and tennis clubs, especially in large cities which Romanians can use in their free time. In addition, there has been an increase in sports events organized throughout the country, such as marathons, biathlons, swimathons, cycling races etc. In the past couple of years, there has been a boom in physical activities in Romania as people have started realizing that exercising is essential to their health and well-being. On the other hand, alternative spare time clubs and activities are not common in Romania. If you’re looking to sign up for an afternoon literature class, a reading club or a jazz club, chances are you will have a limited range of options. It appears that Romanians are not educated to take up such activities. But who knows, maybe the future generations will bring about a change in that direction considering that children can indeed sign up for various activity clubs. Volunteer work is also quite limited, although there are plenty of opportunities to enrol in various activities. In conclusion, Romanian society is rapidly evolving towards a Western way of life and with the economic transition from communism to capitalism being complete, people can now focus more on spare time activities. They have realized that in order to enhance their well-being, they should forget their work-related worries once they leave the office and indulge in pleasant, relaxing activities. The title to this post should not be interpreted literally; it was rather chilly in Budapest in the past couple of days. However, the inter-linguistic/inter-cultural temperature was extremely high thanks to a very cosy and successful conference for freelance translators from all around the world. But it wouldn’t be fair to begin my account before thanking Csaba Ban, the very discreet, yet extremely efficient organiser of the event. So, thank you, Csaba! It was a real pleasure meeting you and attending your conference! Sadly, I couldn’t split myself in two (or even three) – if I could, I would have, believe me! – so I can only give you an account on the talks I actually attended. But if you followed the #bp14conf hashtag on twitter these days, you have probably gained a rather comprehensive perspective on all presentations by now. Right, so I’ll begin right away with the buzzwords. Not at all surprisingly, probably the most discussed topic during the two-day conference was social media and the essential role they play in the translation world. It seems that these interactive tools have become the favourite toys of freelancers around the world for at least two reasons: (1) they help us effectively promote our services in an inexpensive manner, but more importantly (2) they allow us to communicate with each other! If you’re a freelance translator, you don’t get the classic coffee breaks, hallway chats or even lunch breaks during the work hours. And chances are that your closest mate is hundreds of miles away from you, maybe even in a different country. So, what better way to share thoughts, ideas and information than via twitter, LinkedIn and the whole bunch? And, yes, we’re pretty goddamn good at social media! 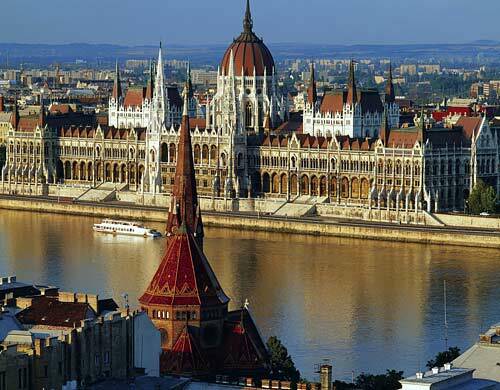 Just check out the tweets covering the Budapest event. These should be convincing. Another buzzword of the conference was Change. It is clear to everybody involved in the translation business that great changes are on their way. The huge amount of information published on a daily basis, the ever-growing role of technology in the translation process, the tight deadlines have all pushed the translation profession towards a major shift. (I keep remembering how Anne-Marie Colliander (@amclind) and Miklos Ban (@miklosban) said in their opening talk that translations used to be sent by post or even by coach back in the 80s). Basically, it seems that even though the need for translators is constantly growing, rates are dropping. Which brings me to the next buzzword: hyperspecialisation. Because the future belongs to hyper-specialised professionals, able to offer very high-quality and relevant services. I would mention here Rose Newell (@lingocode) who advocated in her presentation (rightly so!) that the key to success in the translation world is to be ”a writer worth paying for”. This means that you should not be a robot-like professional constantly doing as told, but a clever consultant, always ready to advise your clients on cultural issues and a truly efficient communicator. Other topics covered included software presentation, branding and PR tips for freelance professionals, transcreation, team-work facilitated by new technologies, medical translations and tips for translating guidebooks. All in all, the variety of topics discussed throughout the conference would satisfy even the most picky attendee. These are just a couple of notes on the hot days in Budapest, that I managed to crop up quickly. Feel free to contribute with other thoughts in the comments section. Yes, yes, I know. I have neglected my blog for far too long… But this is only because I’ve had a couple of very busy months and I couldn’t afford the luxury to blog. But you know the saying, better late than never. A couple of days ago, I read a very interesting interview about good translations/bad translations, good translators/bad translators and I automatically thought of the issue of quality in the translation world. Unfortunately, in our business the concept of quality is very relative, it is very hard to establish a set of universally accepted textual strategy standards. And that’s because we’re different. No two translators will produce the exact same translation of a given source text. But, anyway, I don’t want to go into too many details about this issue now. Instead, I would like to focus my attention on an element which may be overlooked by translators, LSPs and clients alike (but especially by the latter ). No matter how good a translator you are, no matter how much experience you have, if you don’t have enough TIME to complete a project, the translation will simply not reflect your best efforts. This might sound like stating the obvious, but we seem to have taken for granted the idea that ”we live in a fast paced world in which speed is everything…” Thus it has become generally accepted that a 3000 word translation should be carried out within one day, that tighter and tighter deadlines have to be met. This, however, leads to a considerably high stress factor. And it is common knowledge that stress is directly linked to the quality of one’s work. It is true that there are translators who can deliver high quality translations very fast. But it is equally true that some translators require more time to produce high quality target texts. Unfortunately, however, they will not have the chance to prove their prowess… They will simply not have the time. Have You Ever Experienced a ”Translator’s Block”? Writers often complain about ”writer’s blocks”. These are periods of time during which they are unable to produce new work. I’m curious whether this term can apply to translators as well. Fortunately, I haven’t experienced any major blocks, however, there have been times when my daily translation output has decreased quite substantially. I couldn’t translate more than 1000 words a day and I couldn’t explain why. Another problem that I often have is that I don’t know whether a sentence that I produce is grammatically correct. I read and re-read the sentence several times and it’s like it loses all sense and becomes just a series of meaningless words… I always have to ask whether a sentence ”sounds right”. More often than not they do, but there are times when I produce nonsense. But this usually happens at the end of a hard day, after I translated a couple of thousand words. So have you ever experienced blocks? Were they serious? Feel free to share your thoughts on this. A recent news according to which an old Romanian iconic bicycle brand (famous in the communist regime) has been revived by a couple of investors, reminded me of how important it is for brands to acquire cultural iconicity and how iconic products can be reinvented to generate long term profits for a company. For illustration, I shall refer to several highly iconic (cultural) models in the automotive industry. 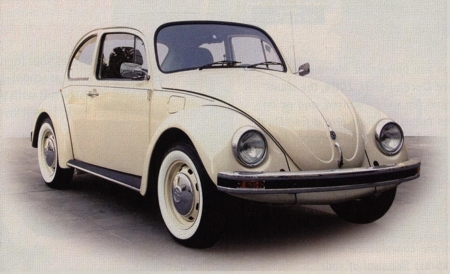 Designed by Ferdinand Porsche in the 1930s with the aim of becoming a genuine Volkswagen (People’s car), the VW Beetle (Kafer) is probably the longest-lived car model in history. Strangely enough, the car acquired its true iconic status in America. And it owes everything to the hippie culture of the late 60s and early 70s which dreaded and rejected American models epitomising the power and world leadership of the US. The VW Beetle had all the qualities American cars lacked: small size, low price, convenience and reliability. And it possessed a rather awkward feature: it was ugly… This ugliness, however, represented a defiance towards traditional American values, something that hippies cherished. The original model is a very powerful symbol in the car industry. There are numerous Beetle owner fan clubs which organize various events and gatherings throughout the world and proudly drive their jewels on public roads. In the late 90s Volkswagen decided to revive the legend and developed the new Beetle (with a retro design, based on the original model), this time setting a rather high price as compared to other cars within its category. The iconicity of the original model enabled the German company to apply a premium price to the new Beetle, a price that many pay just to own a funky little car. 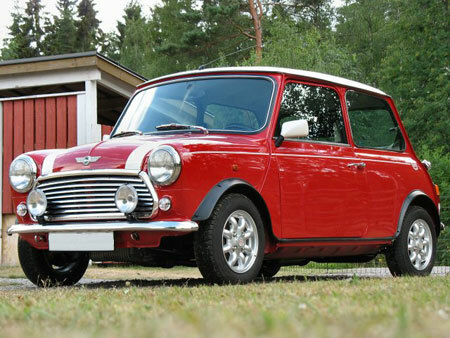 Another undeniable legend in car history is the Mini. This nifty little car was designed by Sir Alec Issigonis as a response to the fuel shortage during the Suez crisis. The aim was to create a smaller car with better fuel consumption. What the creators of Mini hadn’t realized, however, was that they invented the modern city car concept. Mini has quickly grown popular thanks to its practicality in crowded cities and excellent space configuration (the revolutionary front-wheel drive system allowed for a remarkable passenger and luggage space). And there was one more aspect which contributed to the success of the model: it was intriguingly small! But it was intriguingly good! Not only did it become a legend on public roads, but also it won the Monte Carlo rally four times. Following the pattern set out by Volkswagen, the MINI brand has been revamped following its acquisition by BMW and the new models sell very well. Again, due to the iconic status acquired by the original model, buyers have to pay a premium price if they want to purchase a MINI. You will probably say that calling the Trabant a miraculous car is an exaggeration (and judging by the objective quality of the car you are damn right!). But if you consider the original context and decade in which it was designed and the purpose it was meant to serve you might reconsider your position. The challenge in 1950s communist East-Germany was how to create a car affordable to (the rather poor) masses in an environment where manufacturing materials where scarce. The answer was a front wheel drive car with a 2-stroke engine and a body made of cardboard! For its time, the car was pretty revolutionary. And due to its very rudimentary concept, it was highly reliable. You didn’t have parts that could fail, for the simple reason that there were not many parts making up the car. Everybody with a screw-driver and a hammer could repair a Trabant. 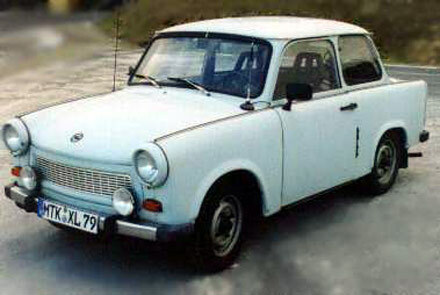 The problem with the Trabant, however, was that innovation stopped once with the launch of the initial model. Throughout 40 years, the carmaker produced the same model unaltered… And this clearly is not the way to achieve success. Nonetheless, the Trabant proved to be very appealing to many people in the communist bloc. For some, this intriguing model was their only chance to own a car, and they were not disappointed by it. There are today many owners’ clubs and you can still see ”Trabis” running on the roads of ex-communist countries. Many of them are tuned and adapted to contemporary conditions, others are unaltered and still functional. It is a pity no-one has revived the brand yet. I’m sure a new model could have preserved the iconic value of the original. There are plans to design an electric Trabant, but nothing is certain yet. Following Ceaușescu’s anti-Sovietic policy, Romania was granted several economic benefits from the democratic Western world during the 1960s and 1970s. Countries such as the US and France initiated trades and economic partnerships with Romania. One of these partnerships was between Renault and the newly-established Romanian brand Dacia. The object of the partnership was the manufacturing under licence of a car. 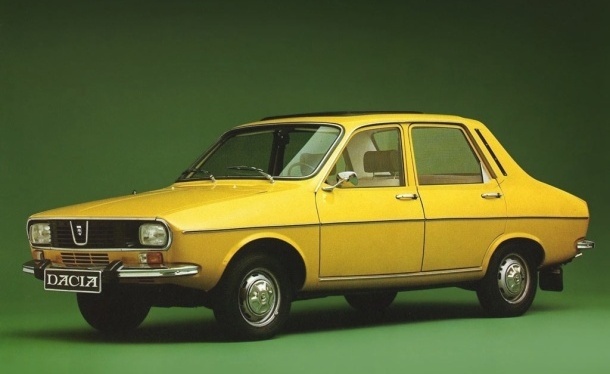 The two companies agreed on the Renault 12 model, which in Romania would be known as the Dacia 1300. The model would be produced with small improvements until the late 1990s. Although the original model was a robust reliable car, the version produced in Romania had a rather poor quality and it quickly became outdated. It was not at all unusual for a Dacia to break down for various reasons. The good news, however, was that practically all drivers of Dacias knew how to fix them. And it represented the only option for Romanians to own a new car. Those who visited Romania in the 1980s and early 1990s surely remember that more than 90% of cars on Romanian roads were Dacias. I remember that even after the fall of communism when one had the choice of buying a ”foreign” car, people would still prefer Dacias because ”they were the most suitable for our bad roads”. In the late 1990s, Renault decided to purchase the company with the aim of turning Dacia into its low-end, economy brand targeted at Eastern European countries. This move later proved to be an excellent idea, especially in the context of the Global economic crisis. More and more people (even in Western Europe) opt for new Dacia models because they have an excellent value-for-money and because they represent interesting alternatives to traditional brands in different classes. For instance, Dacia’s compact SUV can be purchased for under €15000, which is an excellent deal. What all these brands have in common is a legacy of cultural iconicity. People cherished them not because of rational features such as high perceived quality or excellent build quality, but because they appealed to them on another level. They represented values people stood for within a certain cultural context and they became an integral part of that particular culture. Each of these models had a distinctive intriguing characteristic which made them especially appealing to consumers: the VW Beetle – defiantly ”ugly”, but reliable, the Mini – defiantly small, but highly practical, the Trabant – defiantly rudimentary, but innovative and the Dacia 1300 – defiantly unreliable, but easy to maintain. Companies should consider creating cultural iconic brands, because the relationship between iconic products and consumers is much stronger than the relationship based on rational values (in the form of feature – rational advantage). When people love a certain product or brand (regardless whether their reason is rational or purely emotional), they will be more committed to purchase it. Furthermore, once such an iconic product is created, a company will be able to capitalise on it for many years to come by reshaping it, adapting it and reinventing it for modern times. For further reading on this topic, I highly recommend a book that I discovered some time ago: How Brands Become Icons. The Principles of Cultural Branding by Douglas B. Holt. I have always considered corpora essential for the translation of various specialized texts. I actually believe that one cannot possibly begin to translate without consulting similar texts in the target language (the so-called parallel texts). It is highly essential to experience, to understand and ultimately to interiorize the textual techniques of your field of specialization within the target culture. Otherwise, your translations in the medical field, for instance, will not be in compliance with the standard drafting techniques and your (expert) target recipients will have a hard time understanding your translation. Nonetheless, there is a risk of over-rating the importance of corpora. Due to their statistical significance and their vastness, we may be tempted to consider them the only norm for specialized or non specialized language. In other words, if a certain expression doesn’t exist in the corpus, we may believe that it doesn’t exist at all. Which is not necessarily true. We have to keep in mind that language and discourse are more than just a collection of words, sentences, paragraphs and texts. Besides, automated translation is greatly based on corpora, and as much progress as this technology has made in the past decade, it still fails to offer human-like results. And this is due to the fact that a machine does not understand the meaning of words, it cannot understand what a text is about. And we, as translators, do not translate words, collocations and sentences, we translate meaning. Or this is what we should do. So, what is your opinion about corpora and how do you use them?